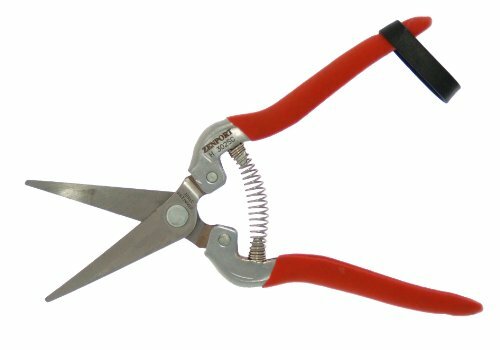 The Zenport H302SC harvest shears feature stainless steel serrated curved blades that are ideal for cutting thick stems, floral bunches, field harvesting, cane cutting, thinning and home gardens. Short curved blade allows you to cut the stem of apples without poking the delicate fruit. Spring loaded action automatically opens blades after each cut; blades lock closed when not in use. Handles with comfortable, non-slip grips provide excellent control. Bonsai Wire, Made in Japan, 300 grams; 3.0mm; 52ft. Bonsai Wire, Made in Japan, 300 grams; 4.0mm; 29ft.